A concise yet detailed introduction to the Buddha's path to happiness and fulfillment. The teachings of Buddhism offer us a practical way to achieve the inner peace, fulfillment, and happiness that we all want. 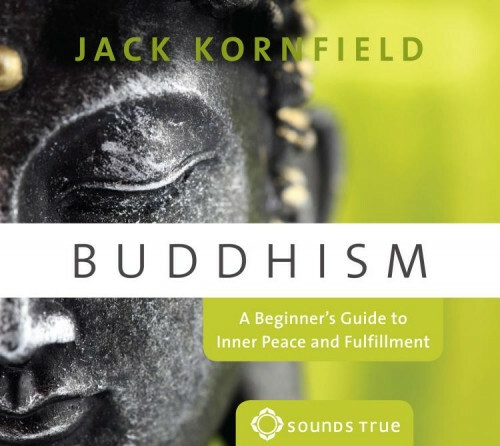 Buddhism is an informative yet compact audio guide with celebrated teacher Jack Kornfield. In one liberating CD-session, you will hear the story of Siddhartha's enlightenment under the Bodhi Tree, the core wisdom of the Four Noble Truths and the Eightfold Path, and essentials of Buddhism's many branches and practices. Then Jack Kornfield leads two traditional guided meditations, “Mindfulness” and “Lovingkindness,” to help you awaken the heart and live fully and compassionately in the moment. Previously released as The Beginner's Guide to Buddhism.